Student Immunization Clinics will be held at the University of Michigan’s Regional Alliance for Healthy Schools Health Center at Scarlett Middle School. It may be the middle of summer, but Washtenaw County Public Health officials are reminding parents that it’s time to start thinking about immunizations. Children entering licensed childcare programs, preschool, kindergarten or seventh grade, or who are new to a school district, must have up-to-date immunizations records or waivers before entering school in the fall. Parents can make an appointment with their child’s pediatrician to get required vaccinations. Washtenaw County Public Health offers free or low cost vaccines for children with Medicaid or no insurance. 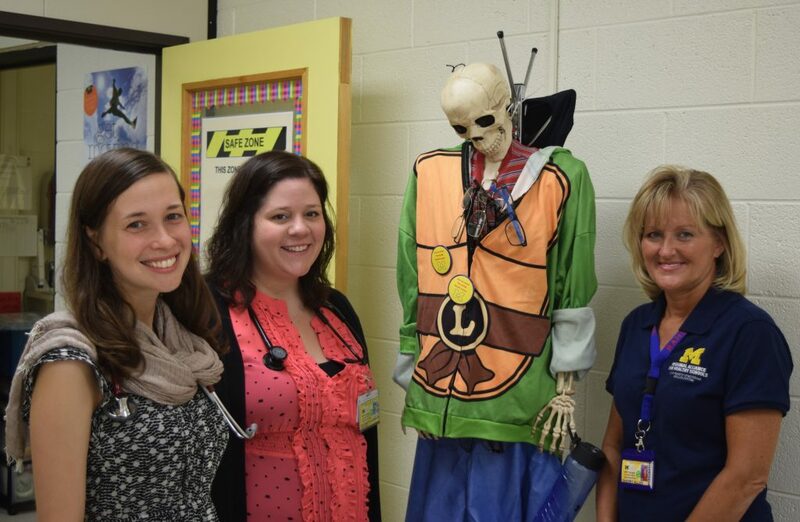 The University of Michigan Regional Alliance for Healthy Schools Health Center at Scarlett Middle School is also open all summer, and will be hosting student immunizations clinics in August. Vaccination rates have been rising locally, but still only 82 percent of Washtenaw County children 19 to 35 months old had completed all recommended vaccines in 2016. That number was 77 percent for adolescents 13 to 17 years old. For children entering preschool or kindergarten, hearing and vision screenings are also required. Young children may not realize they have a hearing or vision problem. Make sure they can see, hear and are ready to learn before school starts.